A pro basketball league for gamers? That’s what the NBA has announced. “Think of eBulls against the eKnicks,” NBA commissioner Adam Silver stated. Silver said that the league will operate much like the NBA. There will be a regular season, playoff bracket and league finals. The season will be five months. 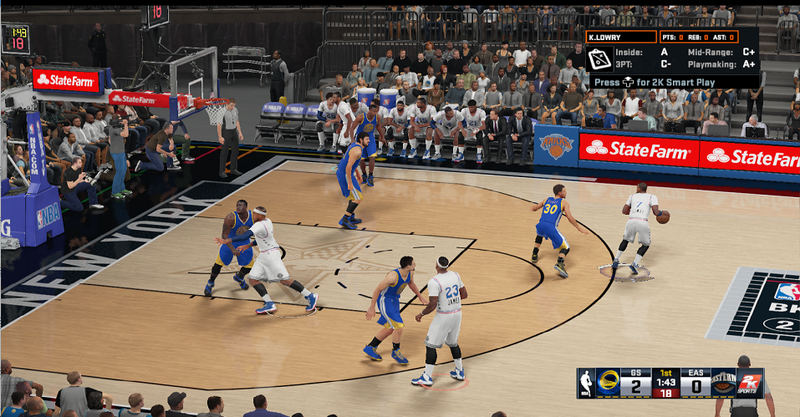 The players will all be custom characters, but the teams will be the same teams as are in the NBA now. So far, none of the NBA teams have fully committed to playing, but the commissioner said he expects about half to join before the opening tip-off. The first season of this NBA 2K, as it is being called, will begin in 2018, Silver said. The 26-year old grandmaster, who formerly represented Ukraine and now represents Russia due to the shifting borders of his native Crimea, has scored the first win of the World Chess Championship. Seven draws preceded the game. Sergey Karjakin, playing black, beat titleholder Magnus Carlsen of Norway, and now leads 4.5-3.5. The championship began November 11 in New York and ends on the 28th or 30th. It is a 12-game match. If the score is tied after 12 games, a rapid chess match decides the winner. If still tied, five 2-game blitz chess matches follow, and an Armageddon can finally break a tie after that. 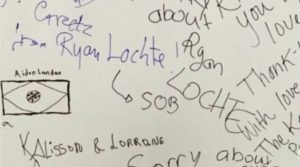 Scrawled on the “Leave a special message to Rio” wall many Americans chose to write “Sorry about Lochte” and other apologies as they departed, in addition to warm thanks to Brazil. 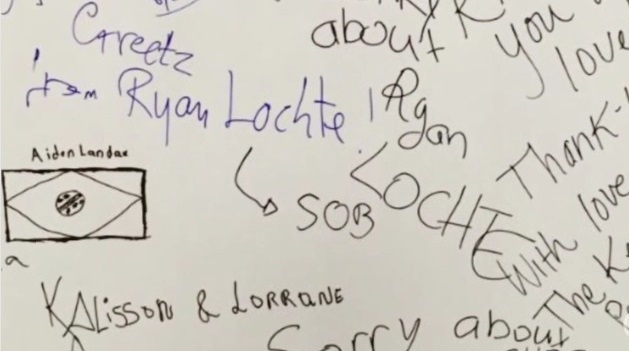 Ryan Lochte’s lies have become front page news across America and other nations. The New York Daily News referred to him as the “Lochte Ness Monster” and the Post as “The Ugly American,” hearkening to negative stereotypes of loud, brash American behavior in other countries. Since the news, Americans have been voicing both embarrassment and anger at the Olympic swimmer sent to represent them. Lochte himself has been apologizing non-stop since his lies became known, making several emotional sorries part of every interview. The athlete has also lost all his endorsement deals as a result of the mistake.